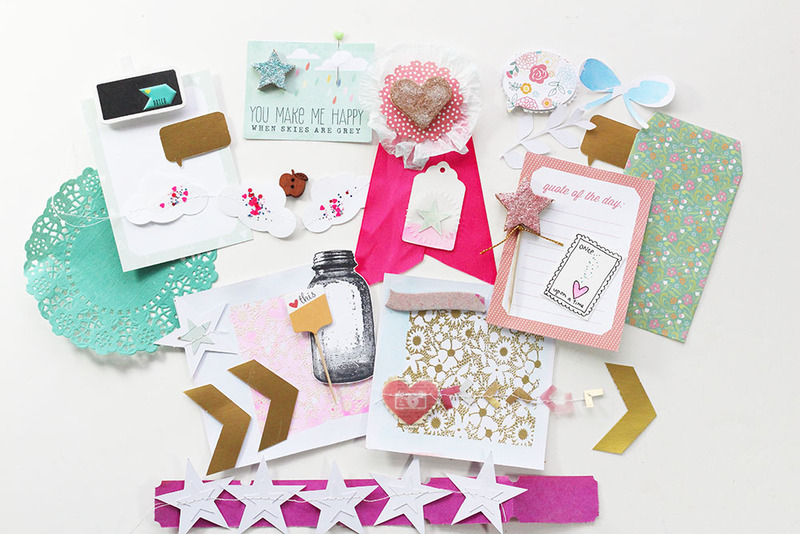 things that shine: Exclusive kit: you make me happy! Exclusive kit: you make me happy! This is a one of a kind, unique kit... there's just one available, so if you love it, grab it now! 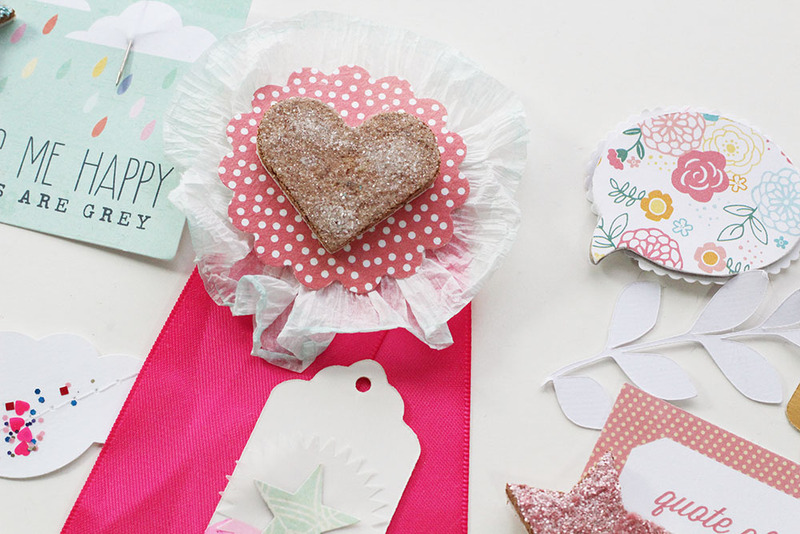 You make me happy is a sweet scrapbook embellishment kit, perfect for your layouts. 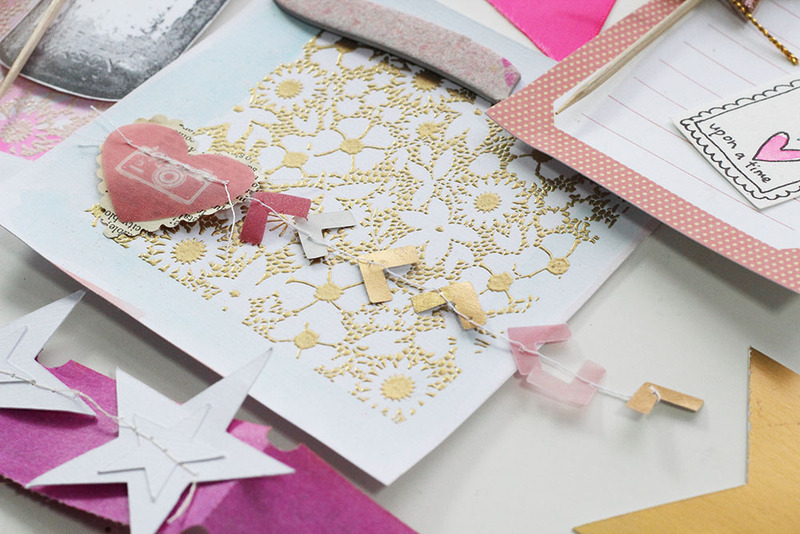 Or, better yet, stack up the papers and cards and make them into a mini album! I love fair ribbons, but you know that. :) This one has a white glittered cork heart center, and ruffled crepe paper with an painted aqua watercolour edge. This cloud garland is very sweet. I like to use pieces like this either as-is, strung across a bit of a page (great under a title or photo! 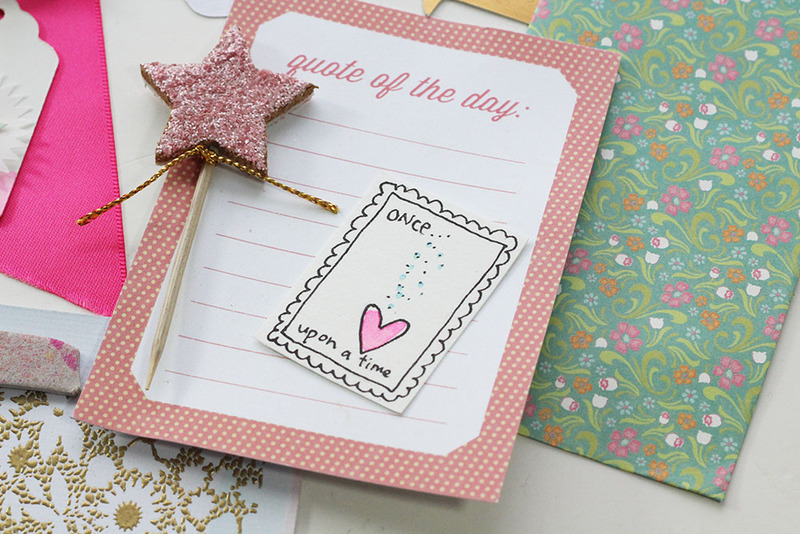 ), or cut the pieces apart and use as stand alone embellishments. The stitching makes it look like you sewed them to your page! I love these 4x4 watercolour and gold heat embossed floral cards. I've used them on a few projects, like this layout. 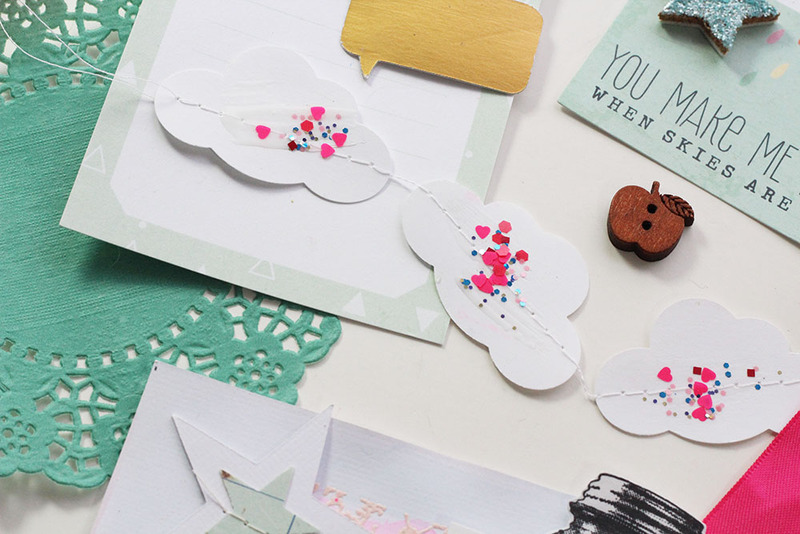 This kit is a fun collection of happy papery goodness, grab it while you can!